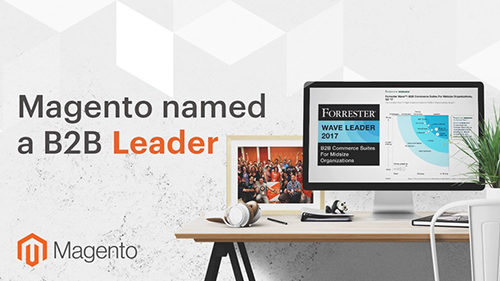 Congratulations to our partner Magento for being named as a leader in the latest “The Forrester Wave™: B2B Commerce Suites for Midsize Organizations, Q3 2017” report. 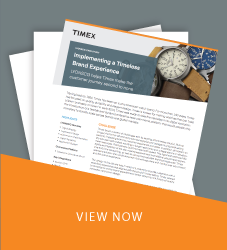 As client expectations continue to grow, B2B COMPANIES ARE INCREASINGLY LOOKING TO DIFFERENTIATE THEMSELVES by adopting digital strategies and building seamless, personalized digital experiences. Flexible, cloud-based platforms like Magento provide businesses with cost-effective tools and solutions, allowing them to rapidly respond to changing business environments and customer needs. The Forrester evaluation considered the top 11 B2B commerce platform providers for merchants with $50 to $500 million in revenue. Magento received the highest score possible in 14 categories. THE PLATFORM’S LATEST RELEASE, Magento 2.2, includes a B2B module package “out-of-the-box,” giving users key B2B functionality as part of the core commerce platform. As we’ve seen ACROSS DOZENS OF PROJECTS AND IMPLEMENTATIONS, Magento allows businesses to easily handle complex commerce requirements and address the increasing demands of digitally connected customers. With deep platform experience and a holistic engagement model, LYONSCG is optimally positioned to help B2B businesses implement Magento 2.2. We take the time to understand your business and leverage our comprehensive suite of services to build a successful digital strategy, put it into practice, and continually optimize it for long-term success. As a proven leader in the B2B commerce platform market, more businesses are moving to Magento than ever. LET US KNOW HOW WE CAN HELP GET YOU ON BOARD AND REALIZE YOUR ECOMMERCE POTENTIAL.